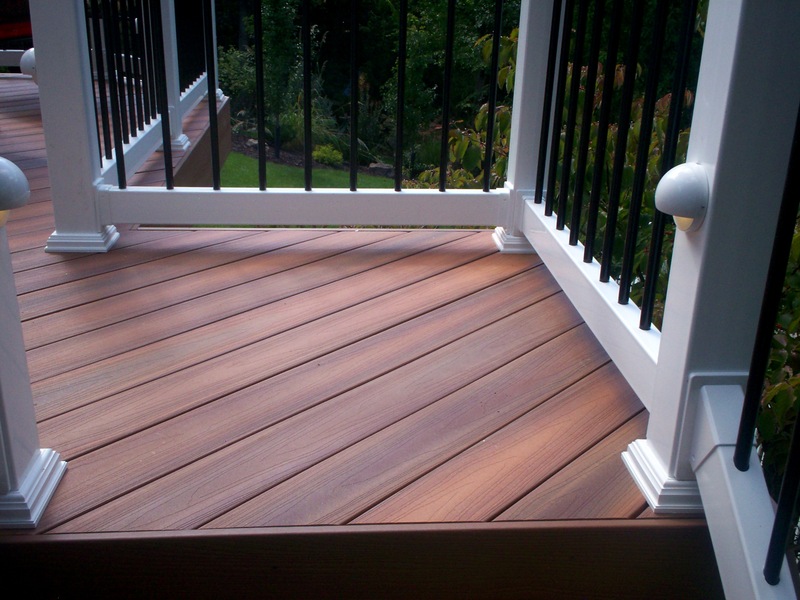 Fiberon Horizon Decking: It’s fancy stuff! Archadeck of West County and St. Charles County in St. Louis designed and built a gorgeous multilevel deck for homeowners in Wildwood, Mo using Fiberon Horizon Ipe capped composite material. Whew. That’s a mouthful but there’s more. The multilevel deck design not only captures the view of a wooded backyard, it provides a gradual descent from each of the home’s levels, leading to a backyard swimming pool. Ultimately, this spacious deck design softens the boundaries between inside and out by connecting the home’s interior spaces to one another and to the outdoors as well. 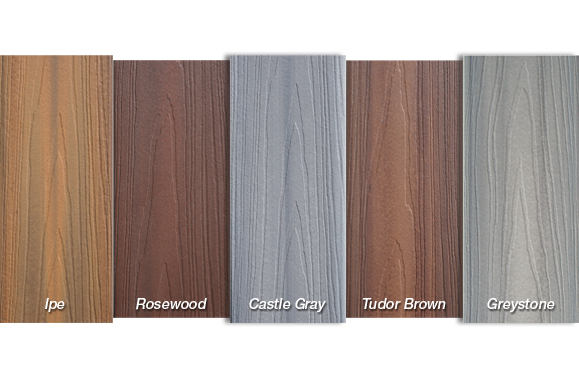 The Fiberon decking boards — white vinyl rails, rounded black balusters and accent lighting — create an elegant, warm and realistic hardwood surface with multi-color planks and wood grain patterns. But Fiberon’s fade-resistant color and handsome ‘good-looks’ are just for starters. The materials are also known for cutting-edge technology, durability, low maintenance and superior warranties. In other words… it’s fancy stuff! And Fiberon gets great reviews from homeowners and contractors alike. Fiberon Horizon Ipe capped composite decking is a solid product that truly combines the best of both worlds for homeowners: stunning authenticity and lasting strength in a low maintenance composite. 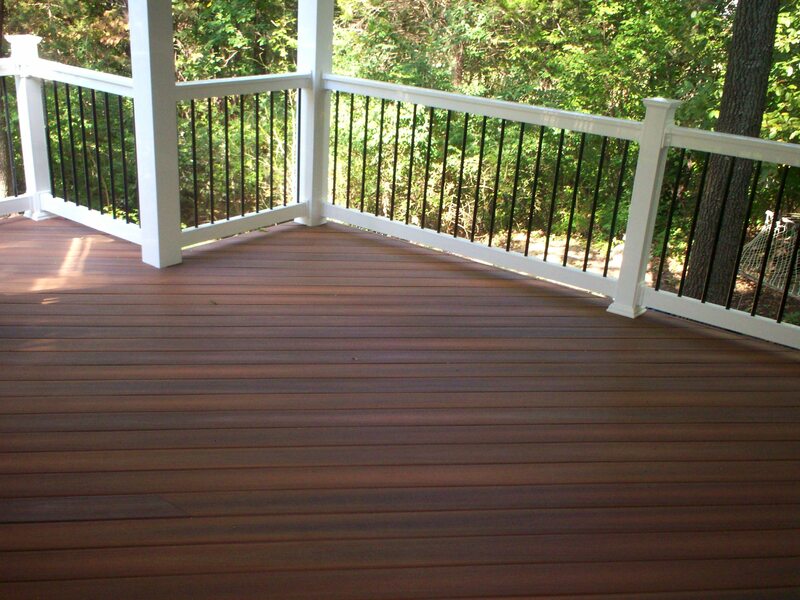 So for more information about adding a deck, upgrading a deck, or replacing a deck to your existing or newly constructed St. Louis home, give us a call 636.227.0800. And visit our website to see hundreds of photos of our completed projects for homeowners throughout the Greater St. Louis area. Then there’s three simple steps to get the ball rolling. At no charge, we can come to your house to take measurements. We’ll see how your existing home’s architecture and backyard layout will influence your design. And finally, after talking with you about your ideas and budget considerations, we’ll develop computerized drawings and a project price quote for your project. Archadeck is a leading and trusted builder for decks and other outdoor structures, serving St. Louis and all of the surrounding communities: St. Louis County, Mid County, West County, South County, St. Charles and St. Charles County as well as portions of Illinois. Archadeck – ‘Better Building by Design’ since 1980. « St. Louis, Mo: Building a deck… where to start?